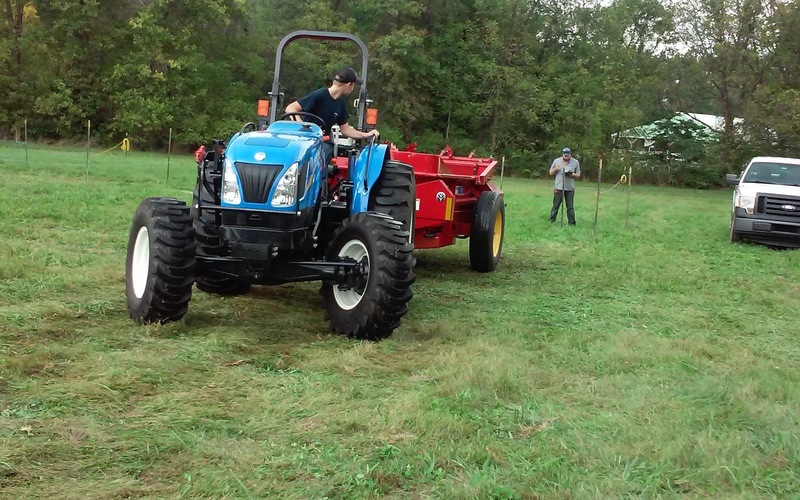 First place finisher in the junior divison, freshman Jared Risser backs up a tractor with a manure spreader. So to find time to practice for the Safe Tractor Driving Contest is almost impossible, but three members were dedicated and practiced during fair week with L-S alumni, Matt Hess (‘09). Kyle Spotts, junior, Pierce Lehman, sophomore, and Jared Risser, freshman, practiced at the fairgrounds on September 26 and October 1. Garden Spot FFA members completing the knowledge portion of the Safe Tractor Driving CDE. 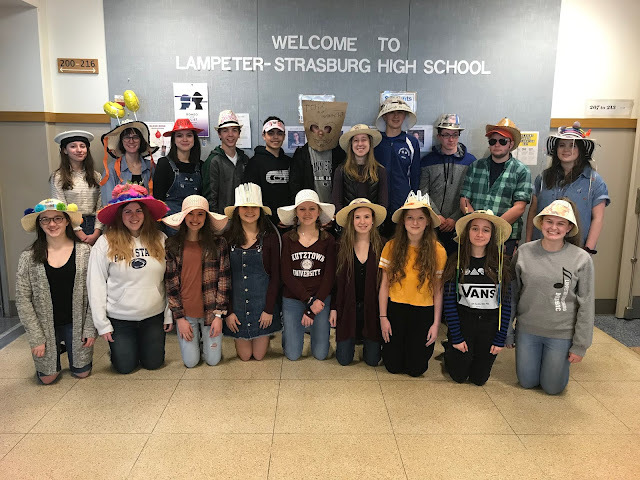 On October 4, the three members and Mrs. Holly Oberholtzer traveled to the Manheim Fairgrounds to compete at the regional level. Kyle competed in the senior division, and Pierce and Jared competed in the junior division. Each member had to complete five practicums: a knowledge test, a tool/part identification, a pre-trip inspection of the tractor, a 2-wheeled driving event, and 4-wheeled driving event. Fourth place finisher, junior Kyle Spots prepares to park his tractor and hay wagon. The students used modern day equipment to complete the tasks. 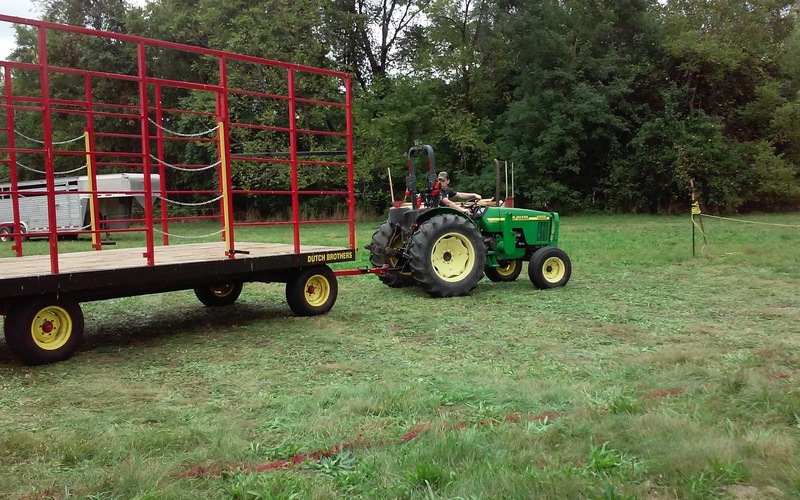 During the 2-wheeled event, members had to drive a tractor with a 2-wheeled manure spreader through a course and then back it into a stall. During the 4-wheeled event, students had to hitch up a 4-wheeled hay wagon, pull it out of one stall and then back it into another stall. These are skills that even an adult farmer or construction worker have trouble with so for high schools to compete and do well in this contest is extremely exciting. Our students did very well! Kyle Spotts received a fourth place in the senior division and has a chance to compete at the state level. Jared Risser won first in the junior division beating the next closest competitor by 6,000 points! Pierce Lehman won third in the junior division.